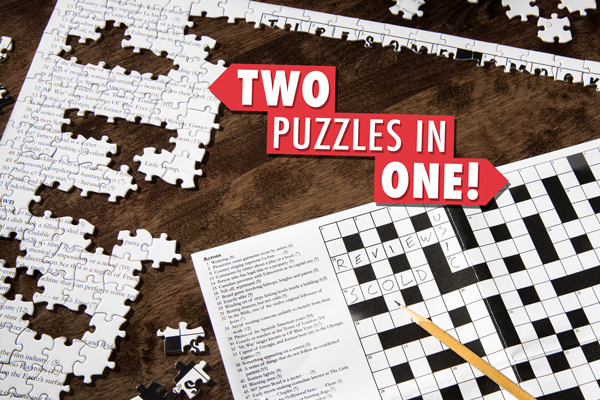 Crossword Jigsaw Puzzle: Two-in-one puzzle with a crossword and a jigsaw. 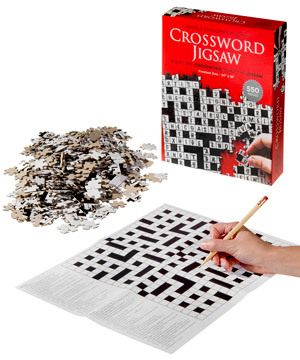 Two-in-one puzzle with a crossword and a jigsaw. The Crossword Jigsaw Puzzle is double the fun for brain teaser fanatics. First, solve the ninety-eight clue crossword puzzle. This sheet will be your guide for the second part of the challenge. With a filled-out paper crossword, you know what the endgame is for the 550 jigsaw pieces you have to fit together. With twice the puzzling through word-solving and picture-stitching, the Crossword Jigsaw Puzzle is a great fit for puzzle enthusiasts. For the person who gravitates toward mind games, the Crossword Jigsaw Puzzle is a supernova of entertainment. This puzzle boasts twice the fun of an ordinary challenge since it's two puzzles in one. You'll first need to solve the clues on the crossword puzzle (a feat in itself) to discover the image the jigsaw will create. 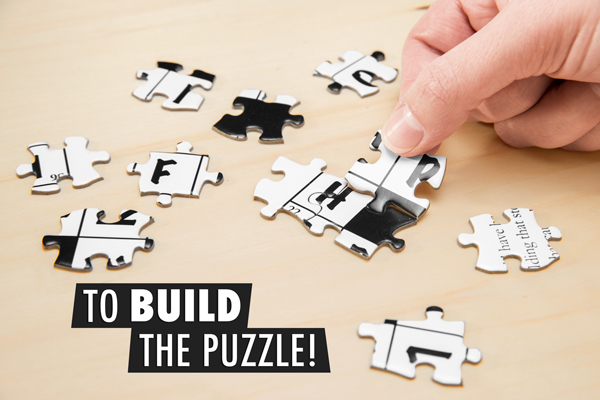 With the solution at hand, try to put together the 550 jigsaw pieces and conquer the challenge! Solving the Crossword Jigsaw Puzzle is a two-step process. First, use the 98 clues (and your noggin) to fill in the crossword puzzle. 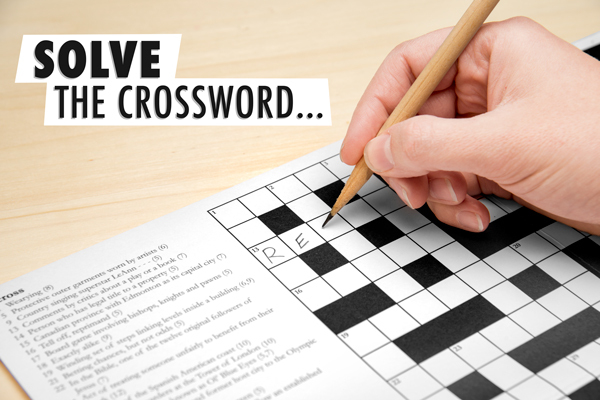 Then put down your pencil—or pen, you genius, you—and use the solved crossword as a template for how your jigsaw should fit together. The mental biathlon tests different parts of your brain for double the delight. Once you’ve solved it, you can start to solve it. The Crossword Jigsaw puzzle is both a real crossword puzzle and a real jigsaw puzzle. The jigsaw stage of your cranial conditioning is every bit as challenging as you'd expect. 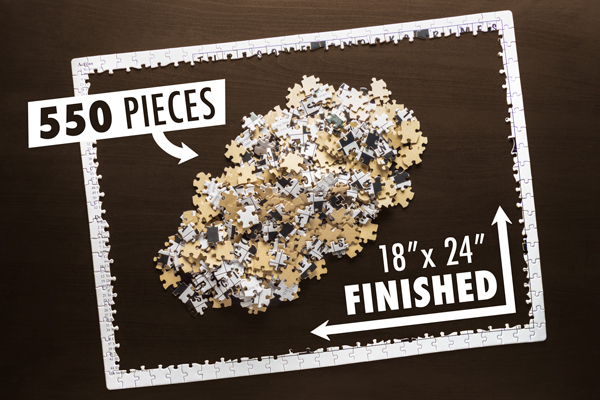 With 550 pieces, your completed puzzle will measure two feet wide and a foot and a half high. Puzzle ‘til your puzzler is sore. Question: Could I solve the jigsaw without doing the crossword? Answer: Yes, but not only would it be more difficult without knowing the image beforehand, but also you'd miss out on the enjoyment of solving the crossword puzzle. Question: Can I get the answer to 34 down? Answer: Now that would take the fun out of it.